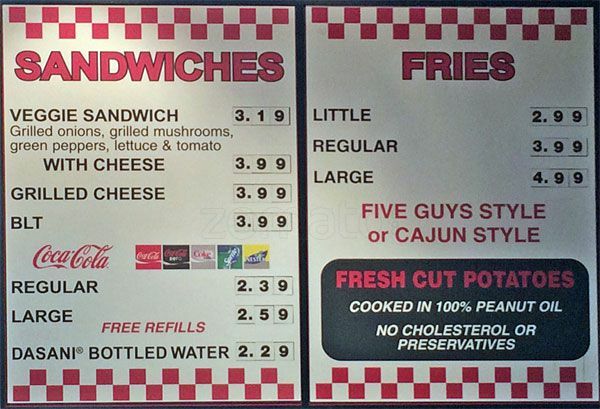 Find Five Guys Canada Menu for 2019, and Burger Nutrition Facts & Calories. Don’t miss the Five Guys Restaurant specials, sandwich offers and the latest promotions & discounts. You can choose from a wide range of free toppings, including: Mayo, Lettuce, Pickles, Tomatoes, Grilled Onions, Grilled Mushrooms, Ketchup, Mustard, Relish, Onions, Jalapeño Peppers, Green Peppers, Bar-B-Que Sauce, Hot Sauce, A1 Sauce. French Fries are also available, and are fresh cut potatoes cooked in pure, no cholesterol, 100% peanut oil. 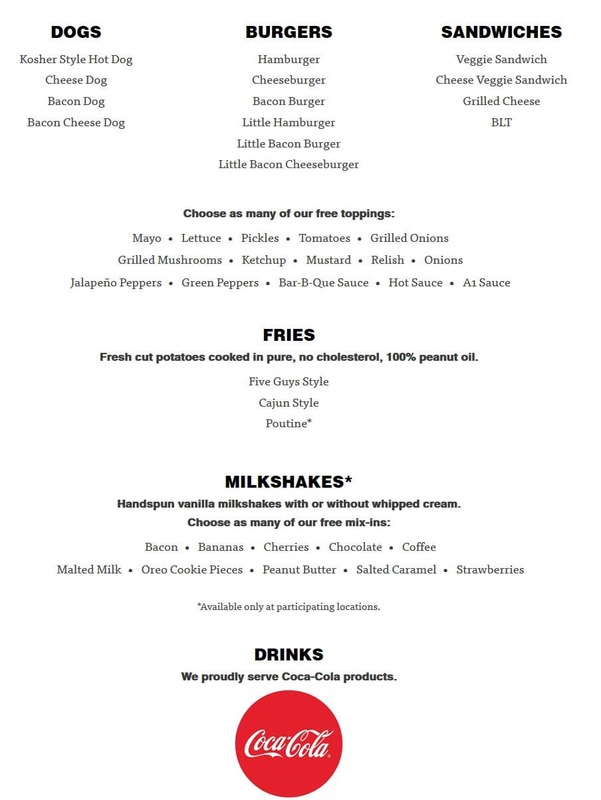 The menu includes hamburgers, cheeseburgers, bacon burger, little burger, little bacon burger, little bacon cheeseburger.